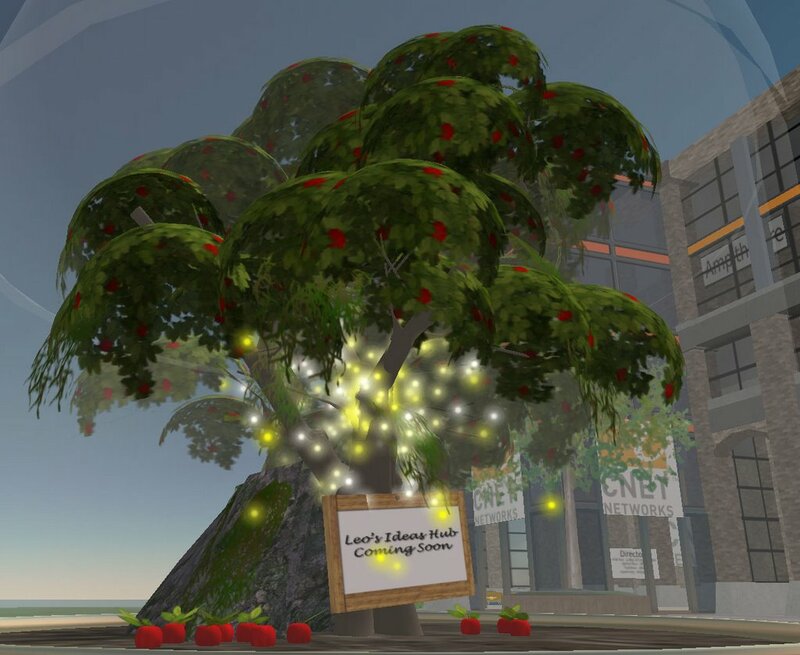 The big news of the week: two large ad agencies, Leo Burnett and Bartle Bogle Hegarty, have announced plans to open offices in Second Life (links to the announcements). Leo works with Millions of Us on an Ideas Hub that will become a collaborative space for the agency's creative people (AdAge). 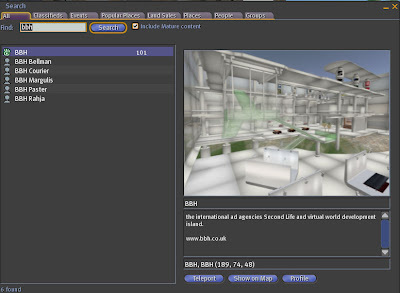 The creatives will apparently have to learn the new interface and port their works as textures into the world. You can visit the commemorative tree marking the initiative at Millions of Us 190,82,23. Leo Burnett Toronto's blog has the full text of the press release and a few comments. Csven at reBang also offers his thoughts: "Someone needs to tell these old agencies that the first rule of Web 2.0 (and Second Life) is: Don't go around bragging about how you figured it out and are now (finally) going to set up an "ideas hub". Regarding BBH, Guardian reports: "Bartle Bogle Hegarty has opened a virtual advertising agency. BBH's move, within online virtual reality world Second Life, comes as rival Leo Burnett unveiled plans to set up Leo Ideas Hub. BBH has worked with London-based virtual world design agency Rivers Run Red to create a virtual agency populated by avatars of BBH staff including global chairman John Hegarty." I'll keep an eye on the things and will post more screenies as things progress.